Looking for a Certified Home Appraisal in The Woodlands, TX? As one of the leading providers of residential and commercial appraiser services in the The Woodlands market area, our certified appraisers can help you with valuations for both private and lending use. Our goal is to provide our clients with a fast, well researched and professional appraisal document that meets or exceeds their expectations and requirements for use. We have some of the lowest appraisal costs in the area and we take pride in delivering reports faster than the typical appraisers. Getting scheduled takes minutes! 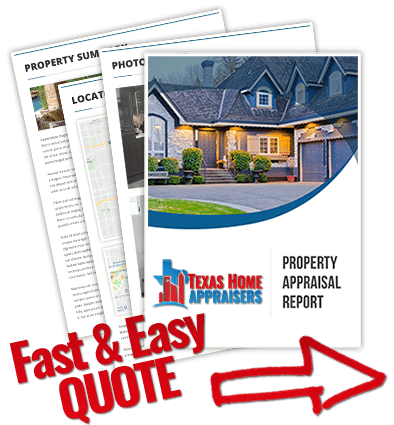 Just submit the short quote request form or ring our number above and one of our licensed appraiser in Houston Texas will be delighted to talk about your appraisal. Why does the appraiser need a copy of the sales contract? An appraiser must review all details of the transaction to ensure nothing that will influence the appraisal value is missed. Of the most concern are the terms of the contract and whether or not they are typical for the market, The sales contract has information such as the interest rate, the down payment amount, seller contributions or other personal property items that might be included in the sale. The appraiser must also verify if the property seller is the owner of public record. A tax assessor researches recently sold homes to determine the appraised value, they do not rely on the most recent appraisal. Due to local tax authorities being a government entity that can directly affect the appraisal process, appraisers must comply to any questions local tax authority may have. A professional appraisal is a powerful tool in the process of contesting your property tax values. What defines highest and best use in an appraisal?